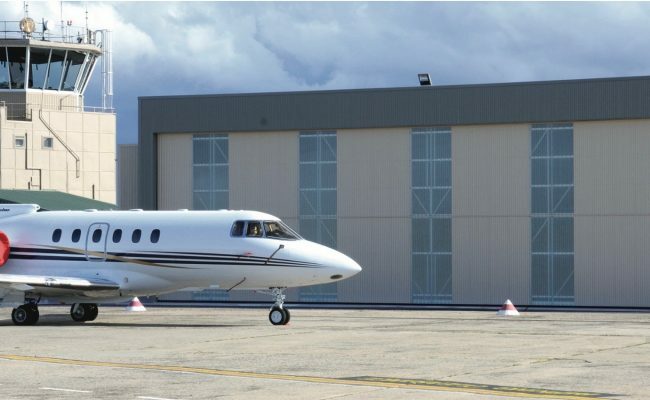 The large counterweight fold-up door at Hangar 8 (Essendon Airport), specifically designed, manufactured and installed by 3rd Generation Doors, is a massive 6.78m high by 23.6m wide and is electrically operated with a three-phase 2HP Motor and logic control upgrade with PE Beams. The door is clad with Colorbond Spandek and Webglas GC corrugated sheet in opal. 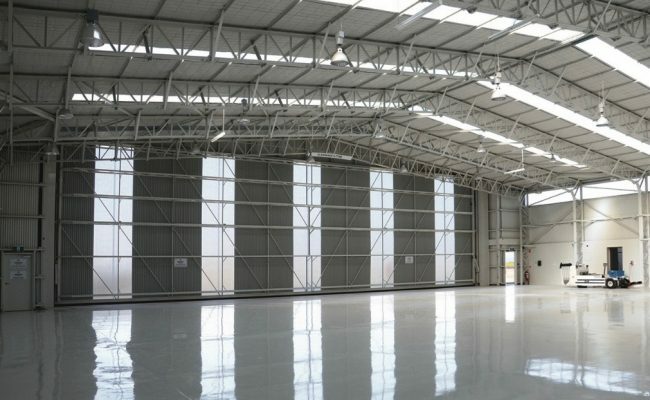 This hangar door is a great example of our engineering capabilities and demonstrates the fold-up door’s inherent capacity to easily handle large design wind loads and dead loads. 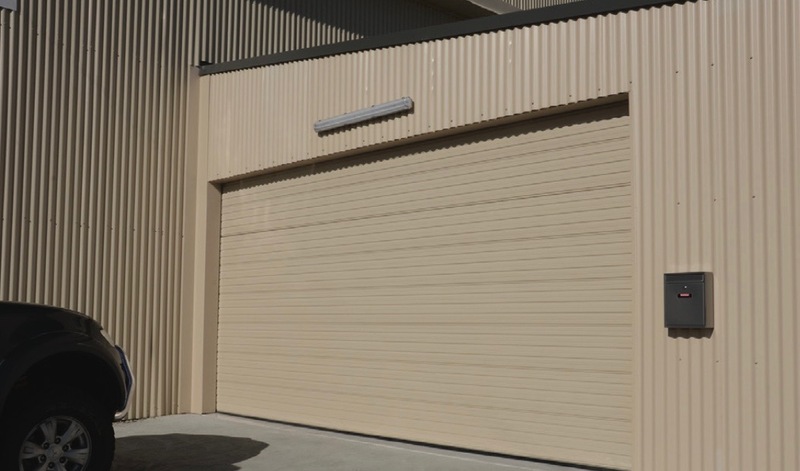 The door’s simple balancing system means efficient, low cost operation and reliability. 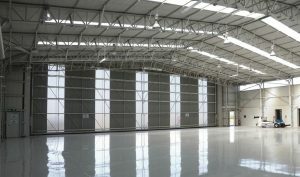 In addition to the large hangar door, we also supplied and installed a rib-line steel sectional door.